Recent developments in European security have contributed to put defence issues at the centre of European integration. Given threats like terrorism and the instability that this is creating in Europe and on its periphery, the resurgence of an aggressive Russia and more indirect sources of insecurity linked to massive influx of migrants and cyber security, the countries of Europe have acknowledged the need to strengthen their defence policies. In addition, one can add the process triggered by the UK's withdrawal from the EU and the weakening of the transatlantic relationship under the Trump administration. France and Germany are central in the process of reviving the European defence policy. In the context of the Brexit, these two countries find themselves face to face, and to a large extent, their degree of cohesion and dynamic capacity will define the European Union's identity in terms of security and defence over the next few years. The Franco-German rapprochement regarding defence is the result of mid-term trends and more immediate factors. In addition to the opportunities that Brexit provides, the election of Emmanuel Macron in France has led to a strengthening of the Franco-German relation and a clearer inclusion of it in the European framework than was previously possible. And the German openness to these issues should not be challenged by the current political uncertainty. In the mid-term the threat analysis and limited means make the two countries converge on the need for a more coherent and better coordinated security response at a multilateral level. In this context however, France and Germany can also be differentiated by some major divergences in the way they respectively perceive their defence policy, whether this involves their cultures and strategic priorities, their ideas of the virtues of collective action or the institutional frameworks that are to be privileged. Such differences can, in part, be attenuated by increasing cooperation in a European framework, but they do complicate the very idea of a common defence policy. Defence issues have not traditionally been those in which the Franco-German couple has had the best entente. For France the UK has always been the natural (bilateral) partner, whilst for Germany, France has been an uncomfortable, dominating partner of what the French like to call "European Defence". In this context, the international and European environment, the respective positions of both countries and their relations have developed over recent years to the point that the Franco-German couple has become an inevitable actor in rebooting the CSDP. Of course, revival is still relatively abstract and although major milestones have been passed - definition of a level of ambition, creation of a planning and conduct capability of operations, Permanent Structured Cooperation - many of the initiatives taken have yet to be implemented over time. Moreover, the European institutions have played an essential role in the revival process, whether this means the High Representative in the drafting of the 2016 Global Strategy and in its implementation or the Commission in its proposal for a European Defence Fund. In terms of defence, the intergovernmental remains the norm however. The perspective of the UK's exit of the Union is key in this regard, due to the opportunities that it creates for a greater role by the Union in defence, and by the centrality that it gives to France and Germany, as well as by the importance that it provides to their cooperation. In the longer term the combination of on the one hand the observation of a deteriorated security environment and threats that erase the distinction between internal and external security, and on the other hand the acknowledgement of a certain inevitability of the European context for crisis management, explain this rapprochement. Firstly, an enhanced partnership in defence is politically interesting: for the French dialogue over defence helps rebalance a relationship that is asymmetrical in other ways, when it comes to economic issues or the governance of the euro zone for example; in return the Franco-German couple provides the Germans with the co-leadership that they could not take on alone in the area of defence. These developments are furthermore occurring in a favourable budgetary context. France and Germany represent nearly 40% of the defence budgets of the 28 EU Member States and nearly half of this expenditure post-Brexit. And in both cases the executive powers have committed to regular and relatively high increases in the respective defence budgets. Is asymmetry on its way out? For the French and the Germans alike, the difficulty in working together in the area of defence lies above all in the asymmetry of their cultures and intervention policies. Yet the rapprochement regarding defence results from developments that involve the German policy and its so-called "normalisation" process. Firstly, Germany's involvement in Afghanistan in an operation initially targeting stabilisation but which developed into a counter-insurgency intervention - in which the Germans lost 54 men and three policemen - has contributed to the transformation of the Bundeswehr and its missions, and has introduced coercive military action into the field of possibilities. Secondly, the formation in 2013 of a Grand Coalition between the Christian Democrats (CDU-CSU) and the Social Democrats (SPD) went hand in hand with discourse that asserted Germany's responsibilities and its presence in the international arena, notably in the area of defence. This was reflected, in the context of the Ukrainian crisis, in the deployment of troops - as a framework-nation - as part of NATO's "Enhanced Forward Presence" in the Baltic states and Poland. This is an operation to which France also contributes, notably as part of the German battalion, with the aim of balancing a policy that to date has mainly been oriented towards the South. The assertion of the German foreign policy is also being undertaken directly with the French in Sub-Saharan Africa, notably in relation to the terrorist risk and the migratory crisis. In the Sahel Germany is making a significant contribution to the EU's Training Mission in Mali (EUTM Mali, up to 350 have been authorised by the Bundestag), as well as the UN operation in Mali (MINUSMA, 1000 men authorised). Such presence in the field is reflected at the political level by support to stabilisation initiatives alongside France, undertaken by the G5 Sahel. Finally, Germany responded to France's call regarding the Defence Clause (art 42.7) in the Lisbon Treaty following the attacks in Paris and in Saint Denis in November 2015, via the deployment in the Mediterranean of a frigate, tanker and reconnaissance planes (totalling 1,200 staff). The Union is not necessarily the only framework for German involvement. But it is no less a privileged tool, as recalled in the 2016 White Paper through the concept of "European Defence and Security Union". And developments in Germany directly contribute to the revival of CSDP. These developments were echoed at bilateral level well before the entry into office by Emmanuel Macron. In September 2016, the Franco-German vision of the Union's role in the face of crises found expression in two joint papers by the Foreign Affairs, then the Defence Ministries of both countries. A few weeks after the British referendum on the Brexit, France and Germany "acknowledged their responsibility in strengthening solidarity and cohesion in the European Union" putting forward a "European Security Compact", whose aim it is to contribute towards rebooting the European defence policy, notably via the definition of strategy priorities and interests at European level, as well as via the strengthening of the institutions and response capacities in times of crisis. This momentum was confirmed at the Franco-German Defence and Security Council in July 2017, when projects such as the Permanent Structured Cooperation (PeSCo) and the European Defence Fund were brought to the fore, and when Franco-German responsibilities in the revival of the European Defence Policy were re-iterated. Hence France and Germany ensure the impetus, which until recently, had not found expression. Joint proposals are drafted, notably regarding PeSCo, the harmonisation and transparency of national defence budget cycles (CARD), and permanent planning structures for military operations. In several areas it has been first the French and the Germans who have defined a common approach, before bringing in the other European countries. The revival of the EU's Common Security and Defence Policy is tangible, and it is probably accurate to state, as did the High Representative, that more was achieved in terms of defence over the ten months following the publication of the Global Strategy (in June 2016) than over the last ten years. But the revival is still fragile, and conditioned by a series of variables whose long-term presence cannot be guaranteed. 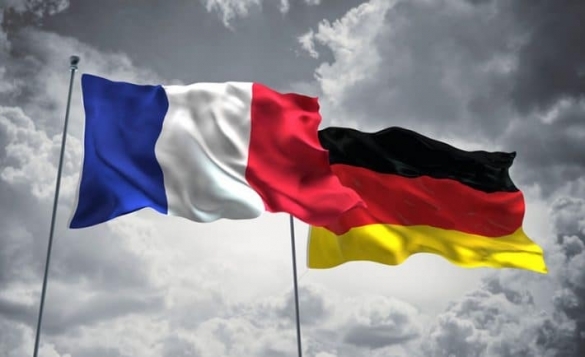 The reality of Franco-German rapprochement is one of these variables; because although France and Germany are emerging as the natural leaders of a European defence policy, their points of divergence are serious and make any progress uncertain and precarious. Firstly, any rapprochement in terms of defence has to be correlated with a parallel rapprochement of the foreign policies and strategic visions of the countries involved. France and Germany are working towards this "strategic convergence", as notably illustrated in the management of the Ukrainian crisis, when both countries ensured diplomatic leadership in the Normandy format, and in the recent rapprochement regarding Sahel. But both countries also have different histories, foreign policies and perceptions of the virtues of multilateralism. Their respective responses to the migratory crisis and the terrorist attacks within their own borders and even their positions regarding the Libyan crisis of 2011, illustrate significant divergence in the definition of their security policy. One of the effects of Brexit on the Union's identity is the strengthening within its fold of France's specificity as a single nuclear power, a permanent member of the UN's Security Council and a State whose military intervention policy is an integral part of its foreign policy. In the area of European defence and the downturn in the security situation, France's specificity might trigger a knock-on effect in terms of an ambition carried along by France, including amongst States that are traditionally prudent in this area; the momentum that has been observed already bears witness to this effect. But the French idea of the Union's role might also become the minority in the face of Germany and countries, which are closer to the German positions than the French, as far as defence issues are concerned. This is illustrated by the prevalence of German positions for an inclusive Permanent Structured Cooperation (i.e. accepting the greatest number of countries) rather than a selective one as wished for by Paris. Both countries also have different approaches to the virtues of multilateralism. In the eyes of both, the EU is a major, but not exclusive vector for their foreign policy. Hence, between the EU and NATO, the Germans have a more balanced view, with the latter remaining the guarantor of European security and the institution of reference in terms of their defence policy, and in spite of the uncertainty caused by the Trump administration. NATO is not as central from the French point of view, and at military level the idea of strategic autonomy, reiterated by the recent Strategic Review, has led to a certain degree of prudence on the part of the French vis-à-vis institutions. To the extent that the option of a national operation (such as Barkhane in the Sahel) or a coalition (as in Iraq-Syria) applies whenever a mission requires it, on the grounds of rapidity or the level of coertion. Such a position tempers the nature of the French commitment to the revival of the CSDP, which feeds on the hope of greater European autonomy, but also on scepticism regarding their partners' and the institution's capabilities to make this autonomy effective. Secondly, the path followed by Germany in terms of external interventions has not erased the gap that exists between the two strategic cultures - understood as ideas of conditions and added value of the use of armed force - of the two countries. In his September 2017 speech at the Sorbonne the French President presented the lack of common strategic culture as being the biggest obstacle preventing the emergence of European Defence. Yet in Germany there is tension between on the one hand the strategic need to do more in response to threats and in the name of specific "responsibilities", and on the other hand a culture of reserve, which continues to typify the German political class, the Bundestag and public opinion as a whole. An example of the gulf between the two cultures is to be found in the concomitant deployment of French and German troops to Gao in Mali, the first as part of the Barkhane operation, the second in the UN operation. Differences in mandates, rules of engagement and levels of acceptance of the risk between these two types of deployment (entering combat has been ruled out by the Germans in the UN operation) highlights the gulf that is still deep. It furthermore illustrates the reality of deliberate political choice rather than sustained institutional constraints (national operation vs. UN). There are also marked differences in civil-military relations in the wide sense of the term, whether this involves the parliamentary control of troop deployment or the role of civilians in the so-called stabilisation operations and in planning structures. Constraints linked to the roles of the Bundestag in the German decision-making process should not be mystified - measures do exist for rapid decision making. But the contrast between the centrality of the President's executive power in the French case, and that of the decision-making power and control of operations by the German parliament on the other hand, is no less revealing of clear political and institutional differences. At these various levels the French privilege a kind of efficiency conferred by rapid action and the unity of command, whilst the Germans place emphasis on the legitimacy procured by an inclusive approach in which civilians have to play a central role. Thirdly, the rapprochement of France and Germany cannot be interpreted as the simple effect of Germany's "alignment" with France that is, a priori, prepared to move forward. The Franco-German partnership in defence is partly built on asymmetry or on a "dominant-dominated" relationship, which are increasingly contested, whether this involves the type of operation to undertake, intervention zones or a fortiori developments in the industrial area, in which Germany enjoys obvious comparative advantages. If Germany is asserting itself in various areas, it is with the aim of pushing through its own views and taking its full place in a co-leadership, not to align itself with the French positions. Finally, the Germans and the French have different views of European integration in defence. For the French the CSDP must first and foremost be a defence policy; i.e. an intergovernmental process whose goal is the Union's strategic autonomy, which means the ability to undertake complex operations, if need be with a restricted number of partners. The Germans see it more as an integration process, which should enable the emergence of a common culture; this is the direction of the "European Defence and Security Union" promoted by the Germans but not taken up by the French. Debate over the Permanent Structured Cooperation have highlighted these differences. For the Germans, the motor behind this issue, the PeSCo is designed as a tool to socialise the States, which via their capability development within the Union, will progressively move toward the convergence of their defence policies. France has promoted a more operational idea of PeSCo, whose primary goal is to encourage EU Member States to gain capabilities so that they can undertake the "most demanding" military missions (art.42§6 TEU). To an inclusive and modular approach by the Germans, the French have responded with a vision that is presented as being more ambitious and selective. The Union's defence policy is struggling to rally the various national approaches in an area in which the transfer of sovereignty is difficult. Since the launch of the Common Security and Defence Policy at the end of the 1990's a dozen military operations have been created, but without the effective emergence of any real common defence policy. In the specific context of the down in the security environment in Europe and its periphery, uncertainty regarding the Trump administration and the Brexit, the countries of Europe, primarily France and Germany, have started to revive the European security and defence project. But if the Franco-German leadership is to increase the Union's capability to protect its citizens, then France and Germany must rise to at least three challenges. Firstly, this will imply giving this leadership shape, through real rapprochement in terms of the policies and cultures of the two countries, so that in defence, the two communities share a common notion of the response to give to the threats that Europe is facing. Secondly, the leadership will have to place all of its weight behind the implementation of the Permanent Structured Cooperation and the European Defence Fund, which to date, have been in an embryonic state and which, beyond capability development and financial issues, should lead to a real capacity to act in the military field. And this will only be possible if, thirdly, France and Germany succeed in leading the other States of the Union in a common project. If the Brexit may facilitate the revival of a European defence policy, it can also reveal - or confirm - the dissonance which might challenge Franco-German leadership, notably regarding the priority to give to the Union in contrast to NATO. In the end, the reality of the term of "leadership" and that of the "defence of Europe" will depend on the capacity for the French and Germans to create a wider consensus within EU Member States. * The views expressed are those of the author alone and not those of the institution which employs him. C. Major, " A Franco-German Defense Deal for Europe ", Carnegie Europe, March 2017. See the speech by German President J. Gauck (31/01/2014), of the then Foreign Affairs Minister F.-W. Steinmeier (1/02/2014) and Defence Minister U. von der Leyen (31/01/2014) at the Munich Conference on Security. In 2018, France will deploy its troops as part of the German battalion in Lithuania. D. Tull, " La coopération franco-allemande au Sahel : conséquences et perspectives du 'tournant africain' de l'Allemagne ", Note 45, IRSEM, Paris, September 2017. Cf. " Livre blanc sur la politique de sécurité allemande et l'avenir de la Bundeswehr ", Berlin, July 2016, p.72-74. Cf. conclusions, " Conseil franco-allemand de défense et de sécurité ", Paris, 13 July 2017. Cf. A. Billon-Galland et M. Quencez, " Can France and Germany make PESCO work as a process toward EU defense? ", Policy Brief 33, GMF, Paris, October 2017. In June 2017, the Union established within the EEAS a permanent planning and conduct structure for non-executive military operations. Cf. T. Tardy, " Towards an EU military command? ", EUISS Brief 17, June 2017. F. Mogherini, " De la vision partagée à l'action commune : mise en œuvre de la stratégie globale de l'UE. ", EEAS, Brussels, p.5. Cf. B. Kunz, " Defending Europe? A stocktaking of French and German Visions for European Defense ", IRSEM Studies 41, Paris, 2015. Cf. N. Koenig and M. Walter, " France et Allemagne, Fers de lance d'une Union de la sécurité et de la défense ? ", Policy Paper 202, Institut Jacques Delors, Berlin, July 2017. Revue stratégique de défense et de sécurité nationale, French Ministry of the Armed Forces, October 2017. President Macron, " Pour une Europe souveraine, unie, démocratique ", Paris, La Sorbonne, 26 September 2017. The Eurobarometer opinion polls show strong support on the part of the Germans for a Common Security and Defence Policy but this is traditional and the polls do not distinguish between security and defence issues. Cf. Eurobarometer special 461, 2017, pp.13-14.